Russian customers wanting a new Mercedes Benz CLA model will have a long wait as the car maker has sold its quota for the country. Global demand for the brand has surged with Russian sales up 20%. 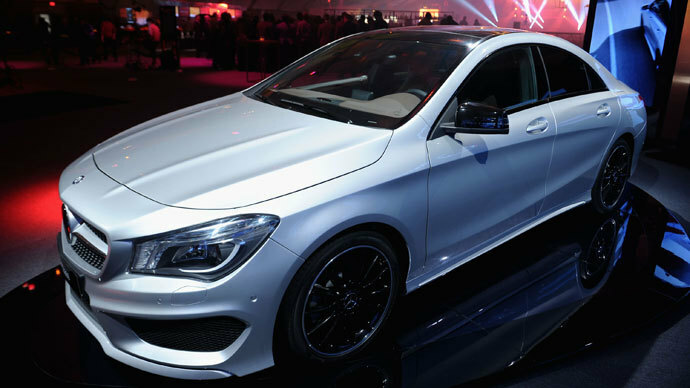 This year's quota for the new CLA model in Russia was sold out in just three months and now there is a waiting list, business daily Kommersant quoted Daimler’s dealers. "We sold 580 cars from March 29 to June 30. That's a lot considering that this is not a mass brand ", says Andrey Rodionov from Mercedes-Benz Rus . "Planning was correct, but the demand exceeds the capacity of the plant. This car is in demand around the world,” Rodionov adds. The car sells in Russia for $45000, according to Yandex.Auto. Dealers underestimated the demand as the entire market was very vague, Kommersant quotes industry analysts. Sales of Mercedes-Benz in Russia in the first half of this year increased by 20% compared to the same period last year, according to the Association of the European Businesses data.